innovative treatment combinations to be implemented with the greatest chance of success. Specialists at the International Mesothelioma Program (IMP) have more than 20 years of experience in treating mesothelioma and offer the full spectrum of conventional and novel therapies, personalized to each individual patient and cancer, in a caring and compassionate environment. Treatment includes precise diagnosis, state-of-the-art multimodality therapy, and supportive care for patients and their families. The foundation for mesothelioma treatment is precise diagnosis. The disease can be challenging to diagnose, and IMP pathologists bring a wealth of experience to the task. The evaluation process includes medical history, any history of asbestos exposure, a careful physical examination, lung function tests, and a variety of imaging techniques. If any of these tests indicates the presence of mesothelioma, a biopsy is taken to confirm the diagnosis. Once mesothelioma is confirmed, doctors check for lymph node involvement to determine the extent of disease. Following diagnosis and staging, the IMP’s treatment team develops personalized therapeutic strategies for every patient. These may encompass surgery, chemotherapy, radiation, and palliative procedures. IMP clinicians also are committed to providing personalized care – tailoring treatment strategies to address the individual disease of each patient. 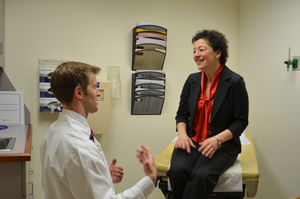 Two new tests help our clinicians tailor therapy for their patients. The four-gene ratio test was developed in the IMP Thoracic Surgery Oncology Laboratory. It is a molecular test that helps to define patient prognosis in terms of benefiting from standard trimodality (surgery, chemotherapy, and radiation therapy) mesothelioma. When combined with other patient-specific information, the test allows surgeons to predict which patients will respond favorably to surgery and which should consider more aggressive experimental therapy. The BWH has recently licensed this test to Castle Biosciences a company which will soon make this available clinically. Researchers at the IMP have developed a new paradigm of testing novel biological drugs in clinical trials for mesothelioma patients. There are several such drugs in our pipeline and these are administered in addition to surgery based on the genetic make up of the tumors. More information is available at the time of your visit. There is no universally accepted standard therapy for mesothelioma. Options include surgery, chemotherapy, radiation therapy, and combined approaches that employ several types of therapy (called multimodality therapy).These combination approaches – using surgery, chemotherapy, and radiationtreatments – have shown promise in extending survival of some patients with early disease. The goal of surgery is to remove all visible tumor. This is the main contributor to extension of life. extrapleuralpneumonectomy, which involves removal of the affected lung along with the lining of the chest (pleura), portions of the covering of the heart (pericardium), and the diaphragm. Following surgery, additional treatments (called adjuvant treatment) are offered to enhance control of the disease. The main ones are radiation and chemotherapy. to relieve symptoms (palliative care). There are two main ways that chemo can be given to treat mesothelioma. By mouth as a pill or through injection into a vein. This is called systemic therapy because the drug enters the bloodstream and circulates throughout the body to reach and destroy the mesothelioma cancer cells wherever they may be. Placed directly into the body where the cancer is. Chemotherapy drugs given this way are still absorbed into the bloodstream, but the highest concentration goes directly to where the cancer cells are. This approach may allow doctors to give higher doses of chemotherapy to the tumor while limiting the side effects to the rest of the body. Chemotherapy drugs given this way are sometimes heated first, which may help them work better. Chemotherapy drugs may be given as single agents, but often, two or more drugs are given simultaneously (combination therapy). 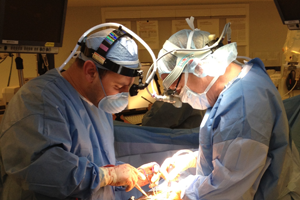 to reduce or eliminate cancer cells that might remain after surgery. intensity-modulated radiation therapy (IMRT) or 3D-conformal radiation therapy (3D-CRT), both of which involve computerized planning techniques that maximize delivery of radiation to the tumor while sparing nearby, healthy tissue.